The 2018 Consumer Propensity Study, released by SAP, found 57 per cent of Australian consumers ditch their online shopping carts, with 60 per cent stating this is due to high shipping costs associated with shopping online. 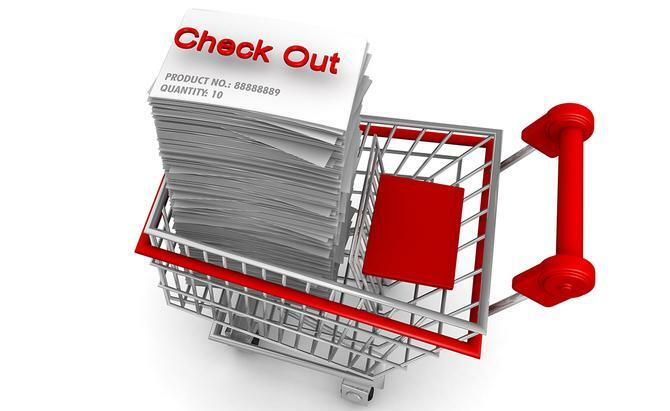 Other key findings include Australian consumers are ditching shopping carts more often than those in Europe (41 per cent) and North America (47 per cent), and 53 per cent of Australian consumers stated that discounts and promotions succeed in nudging them to complete a purchase. According to SAP, Australian consumers have a high tendency to abandon virtual shopping carts, particularly in the product categories of fashion (67 per cent) and furniture (65 per cent), and 46 per cent are using online carts as a way to compare prices with other brands and websites. Price is not the only deciding factor, another driver of cart abandonment is stock availability. Almost a third (32 per cent) of consumers give up on their carts due to out-of-stock items, and 29 per cent don’t purchase if they see longer-than-expected delivery times. SAP said the findings demonstrate retailers need to be conscious that their supply chain and logistics decisions can impact sales. “Reviewing cart abandonment data provides a starting point for retailers to identify friction points in the consumer journey and make improvements to the overall purchasing experience”, said SAP Customer Experience vice-president of marketing, Asia-Pacific Japan and Greater China, Jennifer Arnold. “The findings show customers want the basics done right and are willing to move on to other brands if they aren’t receiving the best experience possible. Today’s customers are taking charge of the relationship they have with brands, and don’t think in terms of B2B or B2C, but ME2B. The results point toward a deeper ask for engaging buying experiences tailored to customers’ individual needs and lifestyles, which extends to ongoing service and support. “To achieve this, brands need a robust omni-channel approach based on having a view of the customer across all touchpoints at all times, and advanced analytics to anticipate customer behaviours and understand their real-time intent. What’s more, brands need to ensure their business processes and systems are integrated with the experiences they deliver to their customers. With this in place, brands will be able to provide a personalised and responsive consumer experience before and after the checkout process,” Arnold said. The report also found the key ask for consumers from online retailers in easy exchange and returns (57 per cent), over chatbots (34 per cent) or VR technology (33 per cent). Just under a third (32 per cent) are encouraged to buy when multiple purchase deals are offered, and 31 per cent are motivated when the retailer provides quick responses to their queries on the item. The global survey, which included 1000 Australian participants, asked online consumers about their shopping preferences and motivation to complete a purchase. The SAP Consumer Propensity Study surveys the behaviours, preferences and attitudes towards a specific aspect of commerce of 600 to 1000 consumers in markets include Australia, Brazil, Canada, China, Colombia, Denmark, France Germany, Hong Kong, India, Italy, Japan, Korea, KSA, Mexico, Netherlands, Poland, Russia, Singapore, Sweden, Thailand, UAE, UK, and the US.